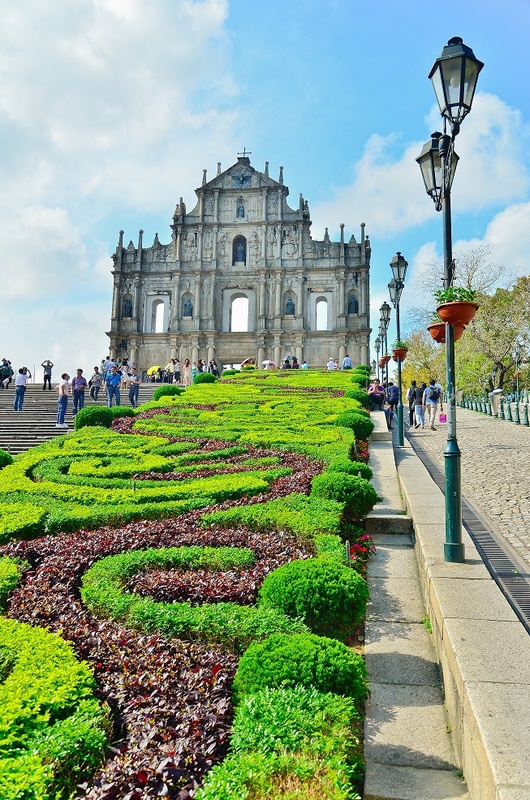 Over 450 years ago the Portuguese controlled Macau where they built churches, fortresses and grandiose homes in a distinctive architectural style that still stands out to this day. In 1999 Macau was returned to China and while many expected the Portuguese legacy to be erased, Chinese authorities realized that Macau’s unique heritage held enormous potential to promote the region as a tourism destination. In the last decade, the Chinese have renovated buildings back to their original Portuguese style and made every effort to celebrate and share Macau’s colorful history with the world. 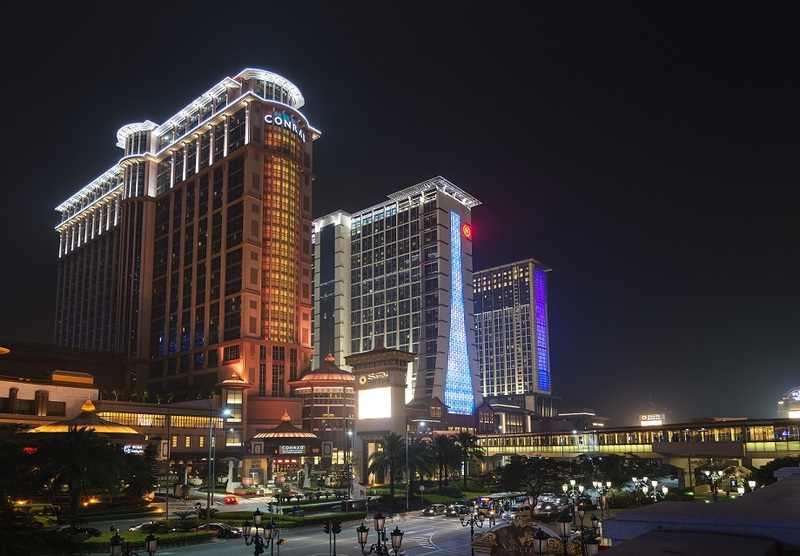 Known to many as the “Vegas of the East,” Macau now houses a wide variety of resorts and casinos. Showcasing many of the brands we know in Las Vegas, Macau is home to big names including the MGM, Wynn and Venetian. But don’t be fooled, there is more to Macau than gambling. The number of tourism sites alone provides visitors with enough to experience if placing bets is not in the cards. Traveling to this historic city without visiting the Ruins of St Paul would be a sin. 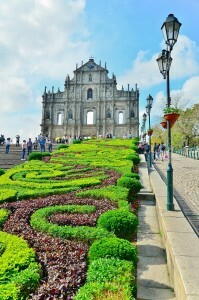 It is one of the most visited attractions in Macau and for good reason. Originally built in the 17th century, in 1835 it was destroyed by a fire and what remains till today is the facade of the Church and St Paul’s college. Another must visit is Macau Tower which soars 338 meters above the city and is the 10th highest freestanding tower in the world and the 8th tallest in Asia. Construction on the tower started in 1998, after a visit by Macau businessman Dr. Stanley Ho Hung-Sun to the Sky Tower in Auckland, New Zealand. He was so impressed with the Sky Tower; he decided to build one like it in Macau. A visit to the tower wouldn’t be complete without experiencing the Skywalk adventure they offer. Imagine standing outside in the open on the tower deck looking down at the city below. There are no handrails and nothing to hold on to. The staff is with you every moment of the way taking photos at every turn. No need to be scared, you are attached to safety lines by a harness and the activity is completely safe. You even have the option of running, jumping into the air and gliding along the deck which is thrilling and nerve-wracking at the same time! The Outdoor Observation Deck provides breathtaking panoramic views of the Macau cityscape the islands of Hong Kong on a clear day. There is a Revolving Tower Restaurant that takes 60 minutes to for one revolution during your dining experience. If you feel you could conquer the world after your Skywalk experience why not up the ante and try SkyJump or Bungy Jump. 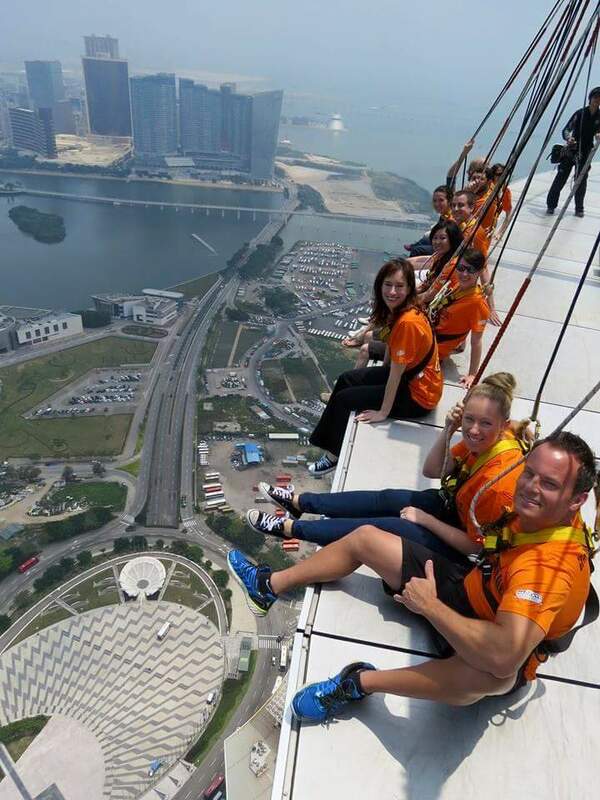 For those of you who would like to jump from the Macau Tower and are looking for a less challenging way to do it than Bungy, the SkyJump is the next best thing! Designed and invented in New Zealand, SkyJump is a controlled decent experience and you jump from the same platform as Bungy at 233m/764ft.Described as Base Jumping you will be attached to a wire cable and your descent takes around 17 seconds before you come to a very smooth landing (on your feet) at the ground floor plaza at the base of the tower. The SkyJump is different from Bungy jumping as you don’t free fall or rebound and you jump in a standing position and stay that way all the way to the ground. Located right in the center of Cotai, The Sheraton Macao Hotel, Cotai Central is the largest hotel in Macau with 3896 rooms and growing. Providing the ultimate in luxury the resort embodies a sophisticated classic elegance. Home to world-class retail stores, a wide variety of restaurants and cafés, live entertainment and two casinos the resort is spread over two towers, Sky and Earth. With a distinctive design and impressive functionality every room is fully equipped to cater to the modern day traveler. 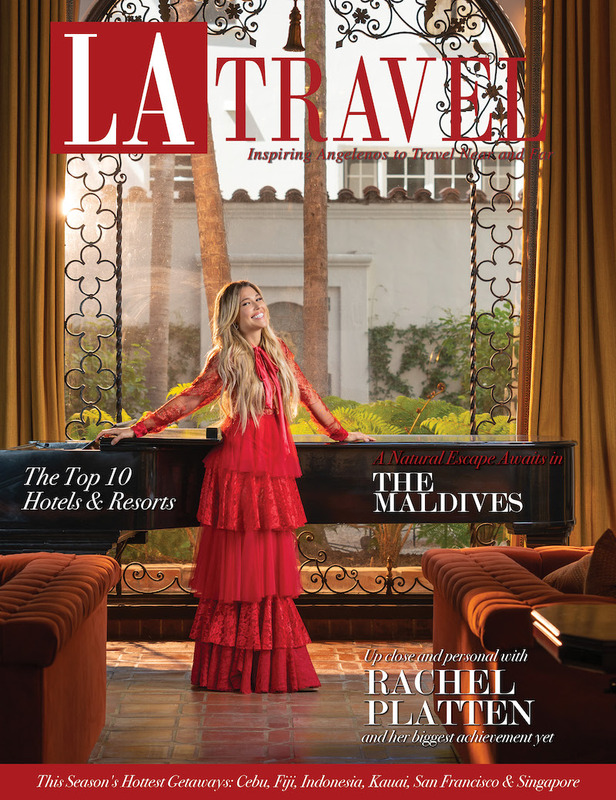 LATM Tip: Upgrade your stay to include the Sheraton Club and a Club Lounge. The Club offers guests an exclusive place to enjoy more privacy, connect with friends and enjoy full buffet breakfasts, all-day snacks, drinks and afternoon hors d’oeuvres. Club guests also enjoy exclusive poolside cabanas and spa enhancements. The resorts in house spa, Shine has three outdoor swimming pools and offers a holistic approach to health and fitness with Sheraton Fitness Programmed by Core Performance®. Shine is the largest Shine Spa in Asia Pacific. Located on the third floor of the hotel, it offers 15 treatment rooms, a beauty zone and hair salon. Fusing Eastern and Western traditions inspired by the Chinese Zodiac and the five elements of Feng Shui—metal, wood, water, fire and earth—the vast spa menu pampers the mind, body and soul with signature treatments. Offering a relaxing ambiance for treatments that soothe and renew, Shine helps locals and tourists alike unwind and de-stress. Tasteful treatment rooms and calming music set the tone as clients get ready to be pampered. The dining options on property are endless, with three signature restaurants offering options for every palate. Enjoy authentic Italian food at Bene, indulge at Macau’s one-of-a-kind Asian hotpot and seafood restaurant, Xin, or relish international flavors at Feast. Room service is also a fantastic choice for those looking to keep it low key. Our favorite was Xin which offers Asian hotpot, fresh-from-the-tank seafood and a wide variety of Asian-inspired dishes. The concept of Xin, which stands for freshness, was inspired by the numerous markets offered throughout the city. Each guest is seated with their very own hotpot set up and the options include an infinite bank of possibilities. To swish your bits of protein and veggies through your own pot of seasoned broth instead of having to endure a communal pot that may not be precisely adjusted to your taste is a real treat. The showstopper of all dining experiences offered at the Sands Cotai Central is Shrekfast. Feel like a kid again with this gourmet brunch style feast complete with characters from the DreamWorks portfolio. Take your photo with Shrek or Kung Fu Panda all while feasting like royalty. 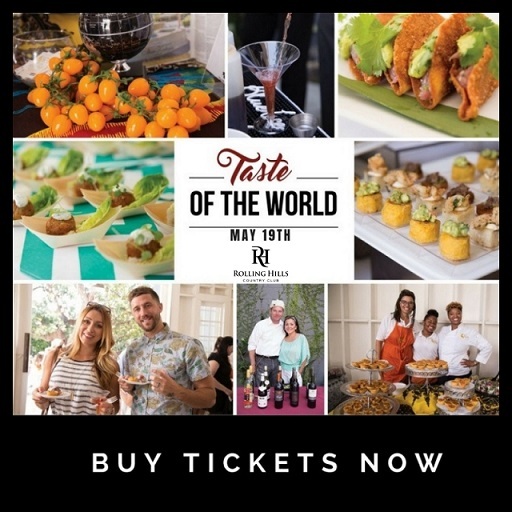 The food options are endless and the performances have everyone joining in on the fun. The House of Dancing Water is a spectacular $250-million acrobatics extravaganza produced by the ex-director of many Cirque du Soleil shows, and plays nightly. This is not your average cirque du soleil performance so make sure to purchase tickets well in advance. You don’t want to miss this show! This entry was posted in Asia & The Pacific, Editor Picks and tagged China, Cotai, Macao, Macau, Macau Tower, Sheraton Macao Hotel, Sheraton Macau, Shrekfast, SkyJump Macau, travel, Vegas of the East, Visit Macau.